A large and cheery sign proclaiming “Mercer Island!” hangs high in the New Seasons Market store set to open there Thursday, marking the first Puget Sound location of the Portland-based grocery-store chain. The sign’s cheery vibe and emphasis on location capture the goals of a store that wants to be “the ultimate neighborhood grocery store,” according to New Seasons CEO Wendy Collie. But the store, which is not unionized, has seen its share of controversy even before it opens, with the United Food and Commercial Workers union’s UFCW21 and other advocacy groups organizing an “unwelcome ceremony” Thursday morning outside the store. The union says it’s aiming to highlight the company’s safety violations and anti-union climate, and that employees work more hours to qualify for health benefits, and pay more for them, than at the unionized QFC across the street. Opening: 7 a.m. Thursday. Breadbreaking ceremony at 9 a.m. The groups raised the same issues in opposing New Seasons’ bid to become anchor tenant for a mixed-use development at the Capitol Hill light-rail station. New Seasons is also entering the regional market during a time of heightened competition in which differentiating itself will be important. Whole Foods Market is opening new full-sized stores in the area and recently opened one of its new-concept, smaller 365 stores in Bellevue. 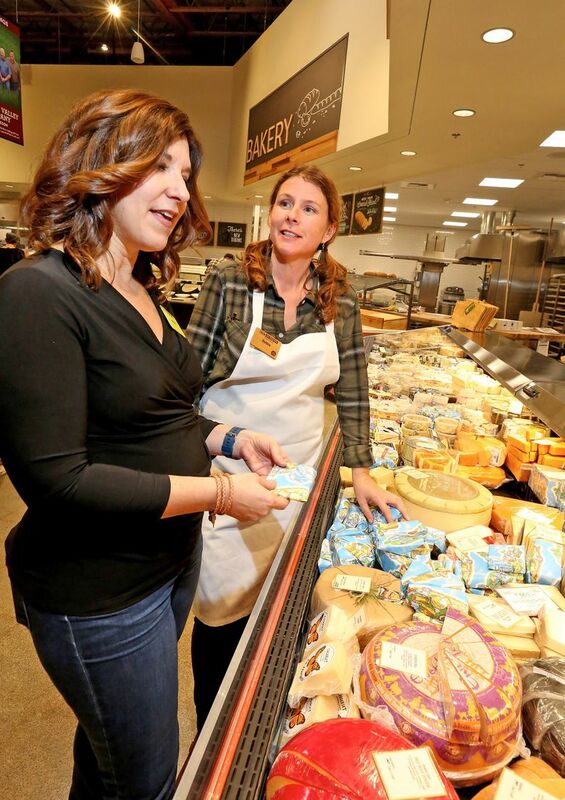 Local PCC and Central Co-op are looking to expand. Collie, a former Starbucks executive, said in a recent interview at the new store that New Seasons sets itself apart by having a workplace culture that emphasizes taking care of employees and customers; working well with the community and vendors; having a socially minded mission; and offering a curated mix of everyday brands, conventional and organic products, and local goods. Entry-level starting wage at the Mercer Island store is $13.50 (and $12 in Oregon). Employees at the Mercer Island store who work 30 hours or more get benefits, including health care whose premiums Collie says are typically 30 to 50 percent lower than those offered by similar companies. New Seasons also offers profit-sharing and 20 percent employee discounts, and posts schedules at least two weeks ahead of time. Turnover in the company, she said, is among the lowest in the industry. She also touts the company’s B Corporation certification, which is given to companies certified by nonprofit B Lab that meet standards of social and environmental performance, accountability and transparency. The company also gives 10 percent of its profits back to the community, she said. Collie said the company also adheres to and “strives to exceed” health and safety standards. 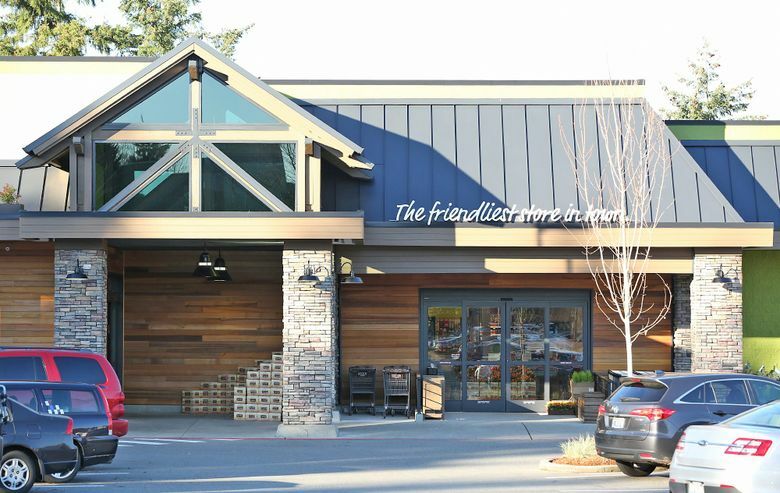 Similar to its other stores, the Mercer Island store offers a mix of familiar everyday brands, “partner label” products made in partnership with regional producers, and a mix of conventional and organic, non-GMO and no-antibiotic products. At the Mercer Island store, it’s also carrying items from 150 Puget Sound-area vendors. In addition to its Capitol Hill bid, the company has plans to expand to Seattle’s Ballard neighborhood. New Seasons, which is privately owned, was founded in 1999, with Endeavor Capital brought on as majority shareholder in 2009. It currently has 20 locations in Washington, Oregon and California, with 3,970 employees, including the Mercer Island store. The company declined to disclose its annual sales and profit figures.